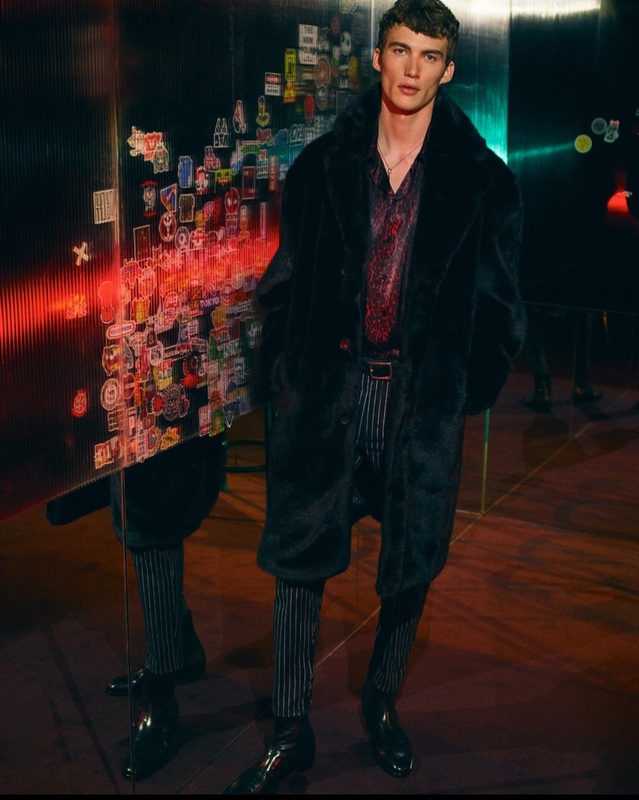 Lukas Adriaensens sports a faux fur coat with a leopard print shirt and pinstripe trousers from Zara Man. 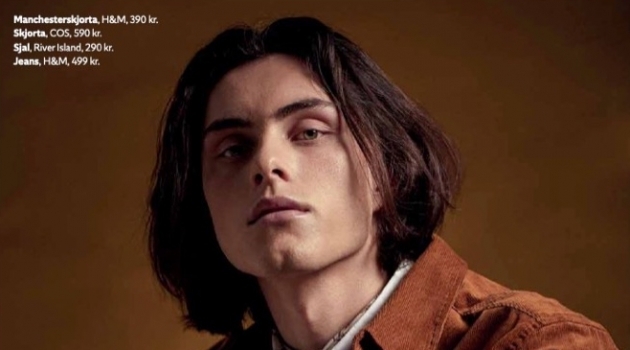 Zara Man brings a rebellious edge to the holiday season with a rock 'n' roll inspired editorial. The Spanish brand embraces bold prints and skinny fits for the season. 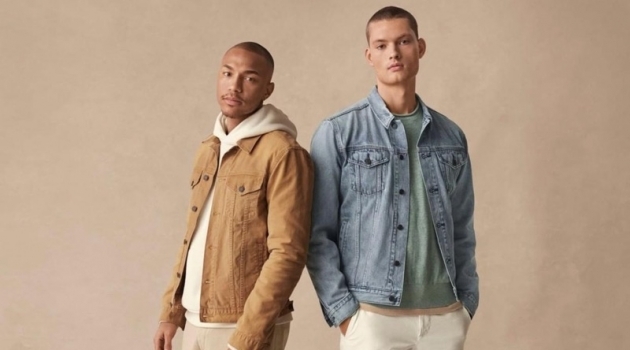 Models Lukas Adriaensens and Anarcius Jean come together for a night out on the town. The pair rocks statement numbers that range from striped pants and metallic boots to a leopard print moto jacket. 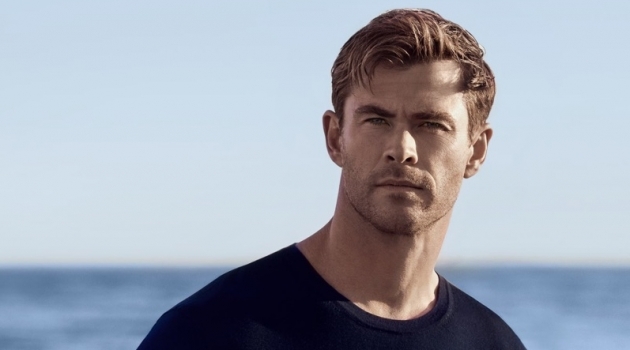 Additional must-haves include a faux fur coat and sheer sleeveless shirt. 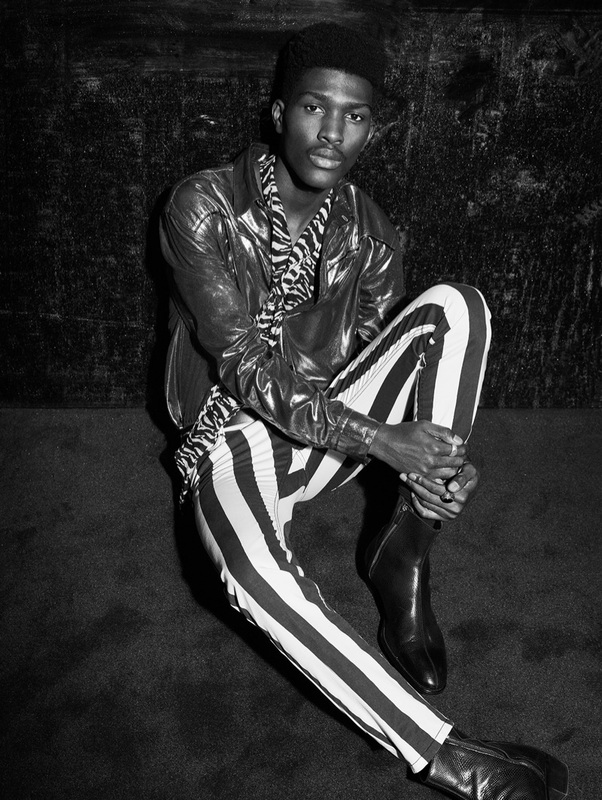 Embracing rock 'n' roll party style, Anarcius Jean wears a glittery jacket with a zebra print shirt, striped pants, and boots. 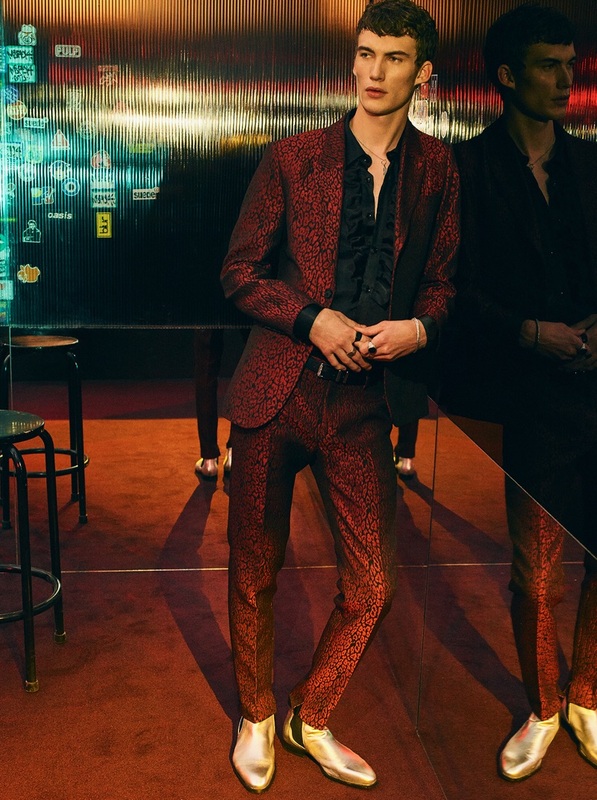 Model Lukas Adriaensens makes a statement in a red printed suit and gold boots, courtesy of Zara Man. 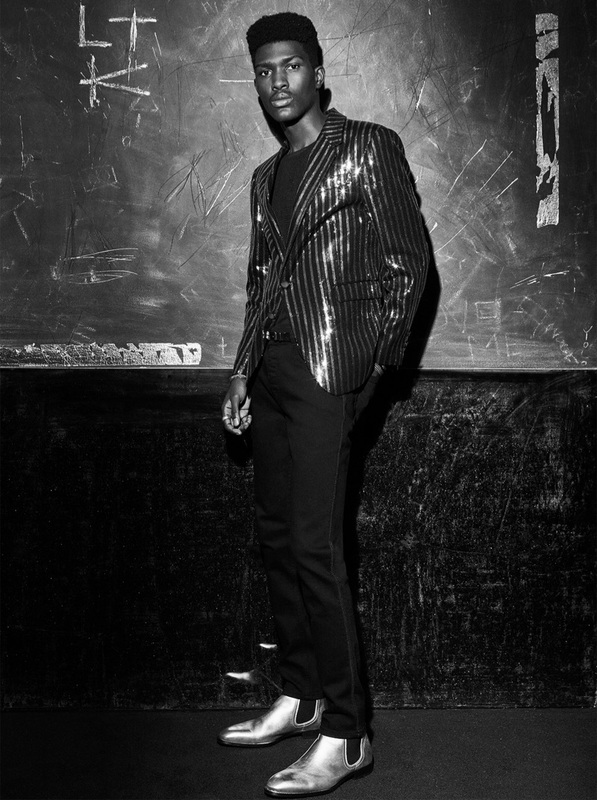 Dressed to impress, Anarcius Jean rocks a metallic striped suit jacket, slim-fit pants, and statement boots by Zara Man. 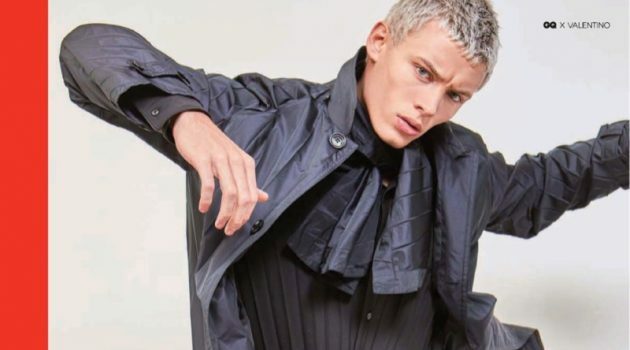 Destined to be the life of the party, Lukas Adriaensens wears a sleeveless shirt, zebra print pants, and a jacket from Zara Man.